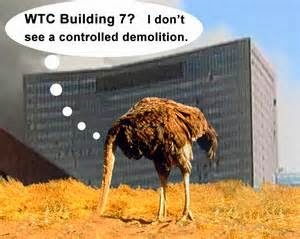 Plastic Explosives Still Attached to a World Trade Center Beam? That thing sure looks out of place! It's positioned so conspicuously, right under where the column seat was. Explosives spaced out along the perimeter could hardly explain the thoroughness of the pulverization because the floors were so huge, but if they were also placed under the floors like this.. then it makes much more sense. Super-thermite formulations can act as ignitor, explosive or cutter-charge, and the evidence suggests there were several formulations in the dusts, possibly different types for different jobs. Harrit´s paper mentions (in the discussion section) chips not featured in the paper that had "other elements" present besides the std. Fe-Al-C-Si signature in the red layer of the red/gray chips, such as barium and copper - and also chips with an extra unidentified light gray layer not studied in the paper. If this red blob seen in the video is an explosive it is most likely a normal explosive not a cutter charge because there is no container around it to direct the cut. It can be Semtex or some super-thermite material. Harrit´s paper refers to super-thermite "matches" that do not need a detonation cord because they ignite via a little application of current, such as a 12 volt spike. Steven Jones also mentions in one of his lectures that he actually ignited some of the red/gray chips with a 12 volt current. So all you need is a 12 volt battery with a remote-controlled switch. You might think the perpetrators would not color their secret nano-thermite orange just like commercial Semtex, but then other concerns may have outweighed the choice of color, such as the possibility of having an explosive material that could be tailored to be quieter and less sensitive than conventional explosives. It sure looks like the cameraman and the FBI guys were fascinated by the "blob," so it is hard to believe that it is just a big piece of chewing gum someone left stuck on the steel. The blob is there and we think it is worth following up on. Perhaps a FOIA request to NIST or the FBI could reveal what people on the scene said about this thing, what happened to it etc. 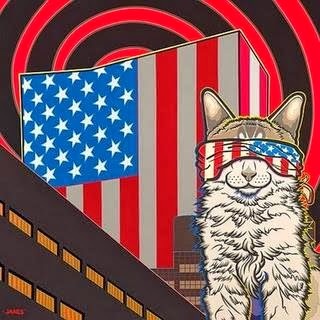 As many will remember, the pup came first, but now cat lovers like myself have a mascot for truth too. The kitty is joined by a new Ostrich who also can't see things very well. 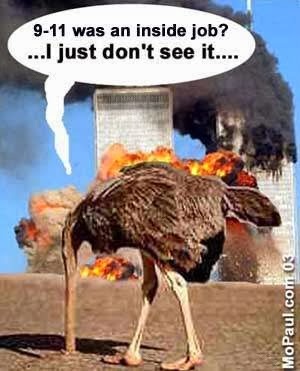 In criticisms of the 9/11 truth movement's alternative theory, nothing is more common than the designation of it as a conspiracy theory. This designation takes advantage of the fact that "conspiracy theory" has become such a derogatory term that the claim "I do not believe in conspiracy theories" is now almost a reflect action. Lying behind the term's derogatory connotation is the assumption that conspiracy theories are inherently irrational. The use of the term in this way, however, involves a confusion. A conspiracy, according to my dictionary (23), is "an agreement to perform together an illegal, treacherous, or evil act". To hold a conspiracy theory about some event is, therefore, simply to believe that this event resulted from, or involved, such an agreement. This, we can say, is the generic meaning of the term. We are conspiracy theorists in this generic sense if we believe that outlaws have conspired to rob banks, that corporate executives have conspired to defraud their customers, that tobacco companies have conspired with scientists-for-hire to conceal the health risks of smoking, that oil companies have conspired with scientists-for-hire to conceal the reality of human-caused global warming, or that US presidents have conspired with members of their administrations to present false pretexts for going to war. 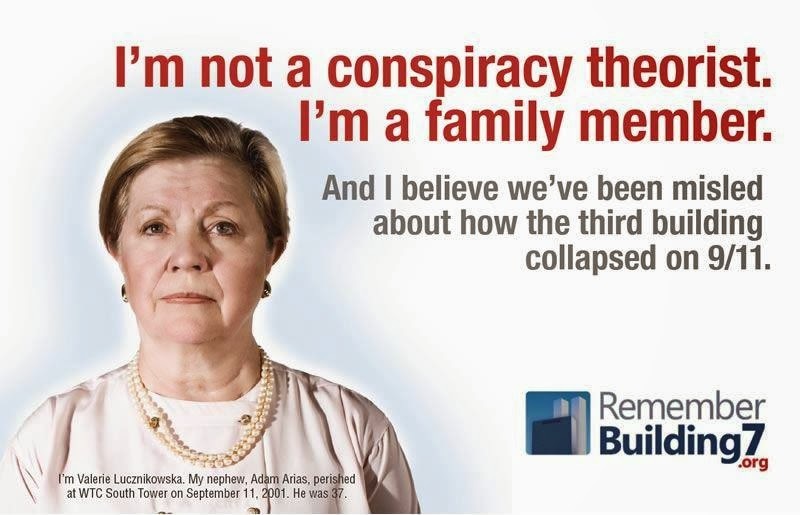 We are all, in other words, conspiracy theorists in the generic sense. 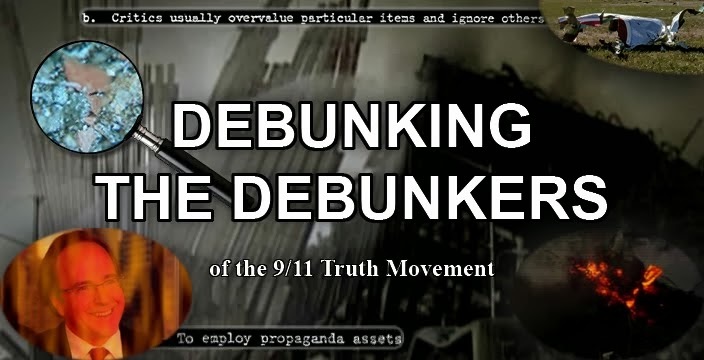 To apply this distinction to 9/11, we need to recognize that everyone holds a conspiracy theory in the generic sense about 9/11, because everyone believes that the 9/11 attacks resulted from a secret agreement to perform illegal, treacherous, and evil acts. People differ only about the identity of the conspirators. The official conspiracy theory holds that the conspirators were Osama bin Laden and other members of al-Qaeda. The alternative theory holds that the conspirators were, or at least included, people within our own institutions. In light of these distinctions, we can see that most criticisms of the alternative theory about 9/11 are doubly fallacious. They first ignore the fact that the official account of 9/11 is a conspiracy theory in the generic sense. 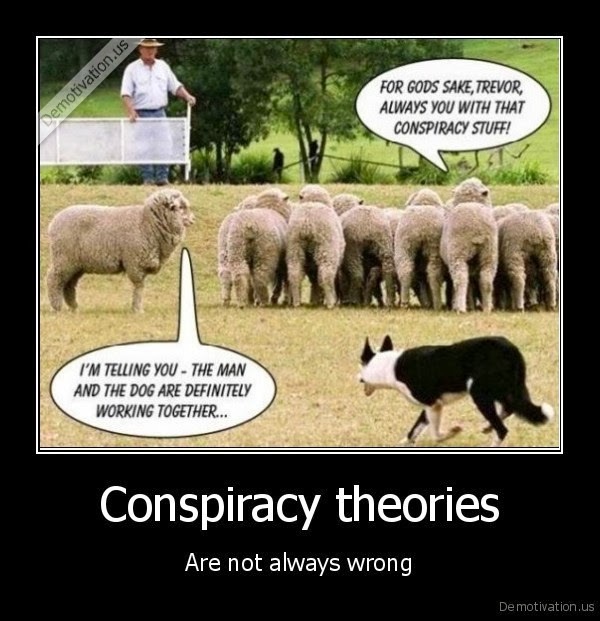 They then imply that conspiracy theories as such are irrational. On this fallacious basis, they conclude, without any serious examination of the empirical facts, that the alternative theory about 9/11 is irrational. For example, Jim Dwyer wrote a New York Times story entitled "2 US Reports Seek to Counter Conspiracy Theories about 9/11"(26) -not, for example, "2 US Reports Say Government's Conspiracy Theory is Better than Alternative Conspiracy Theory". 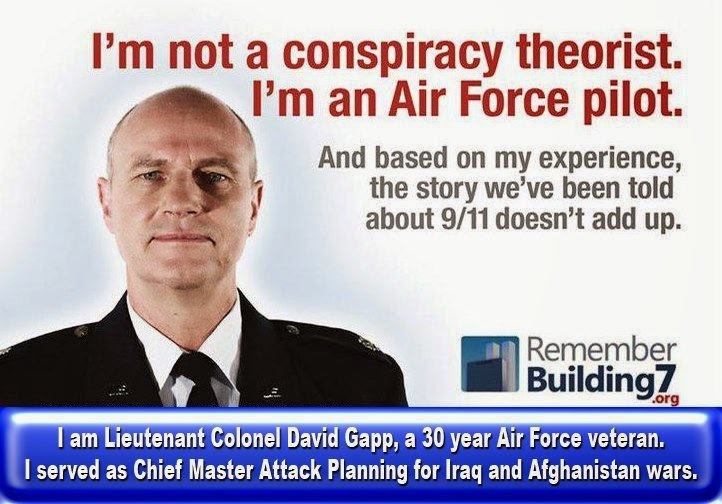 One of those two reports, he pointed out, is a State Department document entitled "The Top September 11 Conspiracy Theories", but he failed to mention that the truly top 9/11 conspiracy theory is the government's own. Then Dwyer, on the basis of this one-sided usage, tried to poke some holes in the alternative theory without feeling a need, for the sake of journalistic balance, to poke holes in the government's theory- because it, of course, is not a conspiracy theory. 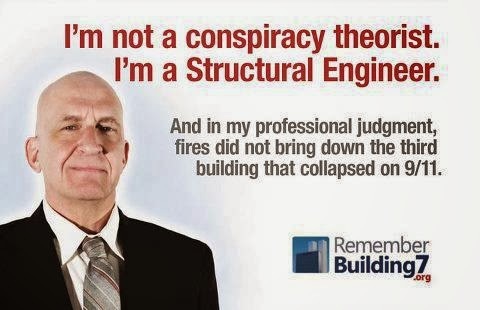 Here's what the conspiracists believe: 9/11 was an inside job. Members of the Bush Administration ordered it, not Osama bin Laden. Arab hijackers may not have done the deed…. 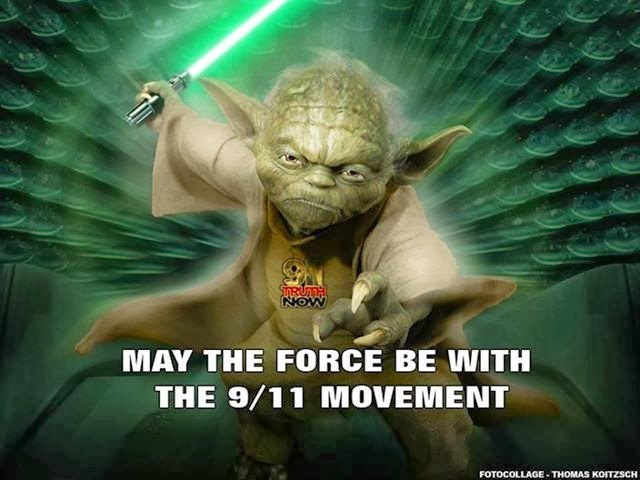 [T]he Twin Towers fell not because of the impact of the airplanes and the ensuing fires but because [of] explosives…. I'm amazed at how many people give credence to these theories. Here's what the government's conspiracists believe: 19 hijackers with box-cutters defeated the most sophisticated defence system in history. Hani Hanjour, who could barely fly a Piper Cub, flew an astounding trajectory to crash Flight 77 into the Pentagon, the most well-protected building on earth. Other hijacker pilots, by flying planes into two buildings of the World Trade Center, caused three of them to collapse straight down, totally, and at virtually free-fall speed…. I'm amazed at how many people give credence to these theories. Besides failing to have this type of balanced appraoch, Rothschild described my books as ones in which "Griffin has peddled his conspiracy theory". He gave no parallel description of, say, The 9/11 Commission Report as a book in which the government peddled its conspiracy theory. 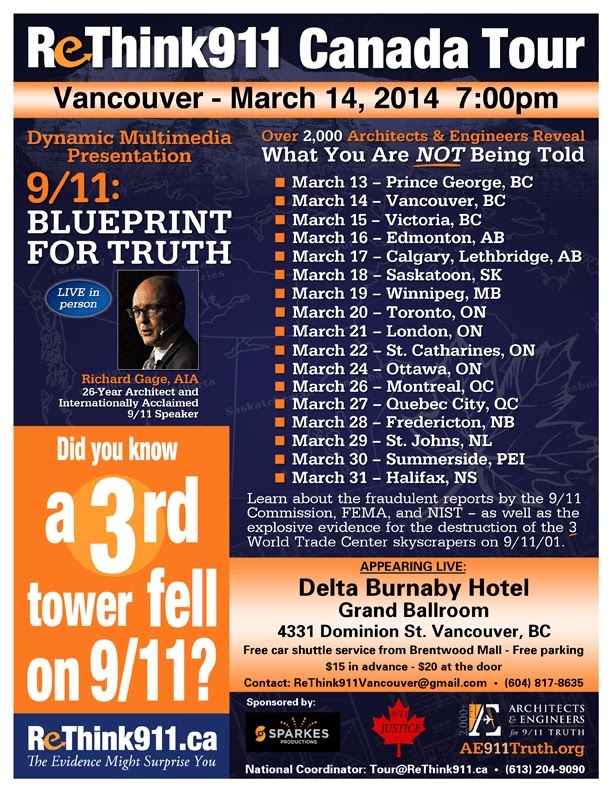 Rothschild wrote, "The guru of the 9/11 conspiracy movement is David Ray Griffin". He did not add, "The guru of the government's 9/11 conspiracy theory is Phillip Zelikow" (the persona primarily responsible for The 9/11 Commission Report; see Chapter 2). That 19 hijackers are going to completely bypass security and crash four commercial airliners in a span of two hours, with no interuption from the military forces, in the most guarded airspace in the United States and the world? That to me is a conspiracy theory. But this did not faze Grossman. 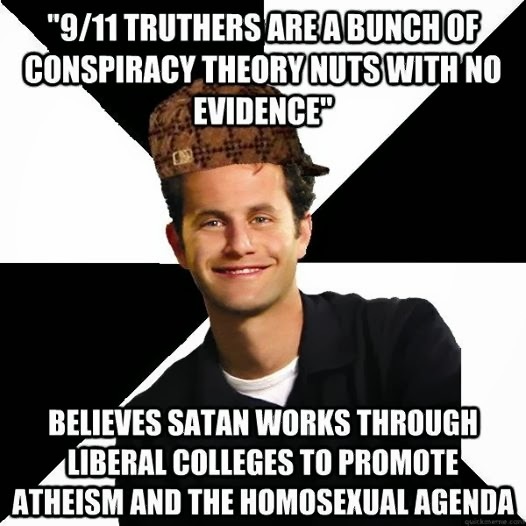 He continued to use the term "conspiracy theory" exclusively for the alternative theory. Then, to explain why this conspiracy theory has gained increasing acceptance, rather than going away, he ignored the possibility that its evidence is so strong that, as more and more people become aware of it, they rightly find it convincing. 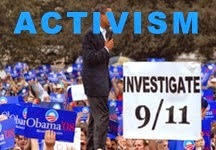 He instead said, "a grand disaster like Sept. 11 needs a grand conspiracy behind it." The question of the quality of the evidence was thereby ignored. 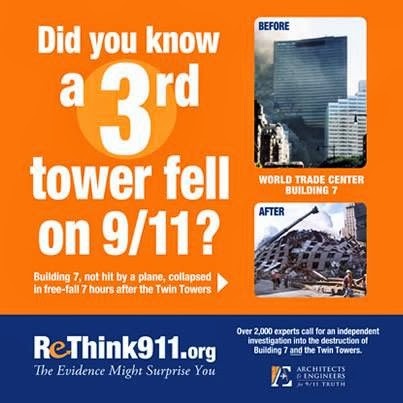 Click here to read some of the book Debunking 9/11 Debunking this is an excerpt from for free on Google Books. Much more of the content can be accessed by using the "search in this book" box located on the left-hand side. For instance, the search query "NIST" yields 34 viewable pages. "This book will delve into a number of things you don't see on TV or read about in the papers. The fact is, the media--the fourth branch of government that our founding fathers anticipated would speak truth to power and keep our democracy on track --has at least since the assassination of President Kennedy systematically ignored any 'conspiracy theory' that might rock the Establishment's boat. 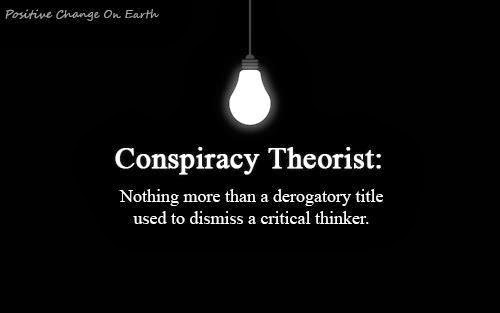 "Understand the label 'conspiracy theory' is a tactic that the media often invokes to immediately discredit voices of dissent and people who seek truth. The tactic of creating manufactured enemies for personal gain has been around for as long as there have been conflicts. Of course there's no concrete proof of a conspiracy - the media would never allow that - but rather an abundance of evidence that points to a conspiracy on behalf of US interests." - Paris – Recording artist and performer. "It is currently standard practice in America to simply dismiss any piece of information that punches a hole in any widely accepted explanation of a disturbing event. 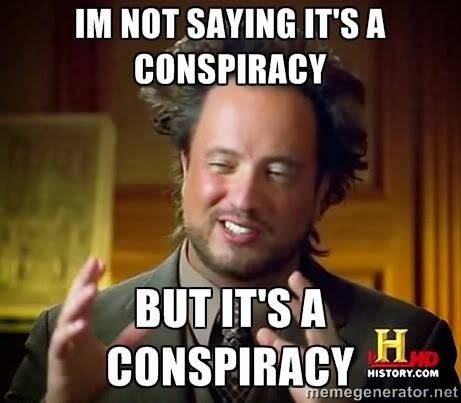 In many cases, especially when a serious crime is in question, the 'conspiracy theory' tag is immediately attached to any new discovery about the event. 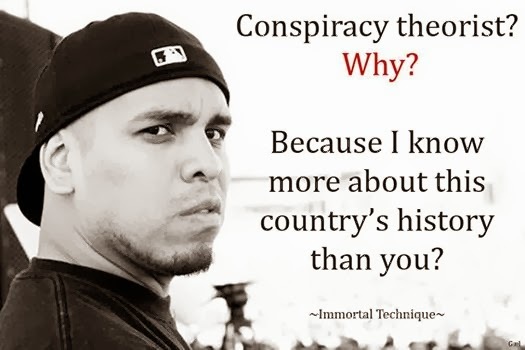 Information related to such important topics such as 9/11, election fraud, the new world order, secret societies, or globalization is too often ignored as part of a baseless conspiracy theory even before any of it is ever presented, discussed, or evaluated. "Ever since JFK was assassinated, the use of the phrase 'conspiracy theory' has been elevated to a political tool for dismissing any information that goes against whatever 'official version' being pushed in any situation. This has lead the world to where we are now. "There are people, like myself, who are called 'health nuts'. A 'health nut' is a person who advocates natural health things. So that's... The 'nut' is a term of endearment now. They were called 'health nuts' by the establishment, in a derogatory way, for many, many years. But now, a lot of us are proud to take the term 'health nuts'. Well there are also 'conspiracy nuts'. And they're identical to 'health nuts': they have been put down with that term for a long time. They're a person who has keen insights to the ongoing problems of the world; and to the news of the world, he 'reads between the lines' and he sees that there are people out there with an agenda, powerful people with an agenda. And he begins to believe it and study it, and he gets to be called, by the establishment (which is part of the agenda problem) a 'conspiracy nut'. 9/11 Free Fall 2/6/14: Guest Host John Michael-Talboo: What's next for the Basile blind study? 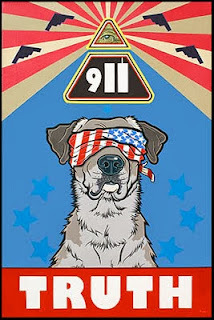 With John-Michael Talboo filling in for Andrew Steele this week, Ziggi Zugam and him talk about Mark Basile's success in raising the money needed for a blind study of WTC dust, debates with alleged debunkers over the years, and other important issues related to 9/11 Truth. FORWARD OBSERVER. 83RD INFANTRY DIVISION THUNDERBOLT DIVISION, OHIO. SERVED IN THE BATTLE OF THE BULGE, NORMANDY, BRITTANY, HUERTGEN FOREST, ARDENNES, RHINELAND AND CENTRAL EUROPE. ENTERED SERVICE DECEMBER 26, 1942. FORT MEADE; RENO AIR BASE; FRESNO; ENGLAND; FRANCE; BELGIUM; HOLLAND; GERMANY. AWARDED GOOD CONDUCT MEDAL, AMERICAN RIBBON, EUROPEAN-AFRICAN-MIDDLE EASTERN RIBBON; 3 BRONZE STARS, WWII VICTORY MEDAL. DISCHARGED JANUARY 1, 1946. Glenn Greenwald is best known for his disclosure of Edward Snowden´s classified documents through The Guardian. His new venture looks promising but some have raised doubts because of the controversial figure behind the financing. As always, in the end "the proof will be in the pudding," and we will have to see for ourselves. We are very excited to welcome everyone to The Intercept, a publication of First Look Media (FLM). The Intercept, which the three of us created, is the first of what will be numerous digital magazines published by FLM. As soon as we resolved to build The Intercept, we set out to recruit many of the journalists whose work we have long respected and admired: those who have a proven track record of breaking boundaries, taking risks, and producing innovative, rigorous journalism. We have assembled a team of experienced and independent journalists and editors (see our masthead here). Our central mission is to hold the most powerful governmental and corporate factions accountable, and to do so, we will report on a wide and varied range of issues. Mark Basile is planning to compose a progress report that will be posted on the aneta.org fundraising page withing a couple of weeks. I can report that stage one of this study is about to commence and that it involves getting an independent lab to perform tests on known primer paints to allow direct comparison to the active red/gray chips. This will include SEM/EDX and FTIR or Raman to characterize chip composition, and DSC tests to confirm the non-production of molten metal/iron during exposure to approximately 400 - 600 degrees C and establish the exotherm/endotherm characteristics of these paints. Stage two will involve repeating the same tests on the thermitic red/gray chips and analyzing the reaction products. Mr. Basile predicts that the tests will require a few months to complete. EMAIL LINK ABOVE WAS WRONG FOR A BIT. When the Twin Towers of the World Trade Center complex collapsed on September 11, 2001, they exhibited numerous features that several researchers have identified as being consistent with controlled demolition with explosives. However, others have argued that the Towers could not have been destroyed via explosives, noting that the collapse events lacked a critical feature of explosive demolition: sounds of explosions. The absence of these sounds, it’s argued, means explosives could not have played a role in the destruction of the buildings. In this paper, we examine this argument at length and show it to be groundless. We demonstrate that not only can explosive sounds be heard, but that even if this argument were correct, the entire premise of dismissing the demolition hypothesis based on this argument is fallacious to begin with. We also demonstrate that the official investigation into the destruction of these buildings failed to adequately consider this evidence as well, and therefore renders the conclusions of said investigation unfounded. The theory of controlled demolition with explosives has abundant evidence to support it, and this body of evidence does indeed include the sounds produced during the collapses. Like global radioactivity from heavily subsidized nuclear power-plants and depleted uranium weaponry, GMO corruption of the food supply, destruction of ocean-life leading to the largest source of oxygen on this planet being heavily depleted, to state-sponsored terrorism, it all came into being for the same reason: the constant and immense funneling of wealth and power to the few, which is conducted mainly by land control, cost and taxation. By disallowing self/community-sufficiency this unnatural (and inevitably destructive) concentration of wealth/power is achieved, with horrible consequences, like the events of 9/11/01. Even if someone were to believe the official story this would hold true, since there would have been no state to attack by those who "hate our freedoms," nor the technological means to do such massive damage (most modern tech is only possible through the same unnatural/unjust concentration of wealth & power). 9/11 official scenario: What about the pools of melted metal? I began by reading reports of melting dripping metal at the World Trade Center after the attack on September 11th. Some of these reports come from weeks after the attack. Jones takes up this issue and much more. His paper is well worth reading. Jones’ approach goes beyond the argument about whether the buildings collapsed because the steel construction melted or just weakened. The molten pools of metal are the anomaly. They need to be explained. Jones is arguing that these long-lasting pools wouldn’t have resulted from burning jet fuel. His conclusion, which he states needs further investigation, is that thermite charges were the cause of the pools. And why else would thermite be present in the buildings, except for the purpose of bringing them down? I fully understand that all sorts of assertions have been made to explain the collapse of the buildings. And I’m sure people will write me with their assurances about what really happened on 9/11. But in this article I’m simply pointing out that what appears to be confirmed observation of molten pools of structural metal from the WTC is a key. Why? Because it cannot be explained or accounted for by the official 9/11 scenario. Jones goes on to explain thermite reactions. Please share both links with whomever might care. Tell the FDA: No Watered-Down, Voluntary Federal GMO Labeling Rules! The below action alert was passed along to me by Frances Shure from colorado911truth.org, who recently published a great piece at ae911truth.org titled, "Why Do Good People Become Silent—or Worse—about 9/11? ." If you are in favor of mandatory labeling of GMO foods, please sign this petition. It took me 2 seconds! Partisangirl on Twitter noticed a photo posted on the Atlantic. It shows a mercenary supposedly from the secular Free Syrian Army wearing an al-Qaeda t-shirt. The fact the United States supports a “resistance” that almost if not entirely consists of al-Qaeda and other closely related Sunni jihadist fanatics is not mentioned by the establishment media. They are, after all, the only force that can come close to defeating al-Assad’s military. Announcing a New Ballot Initiative: the "High-rise Safety Initiative"
The (NYC CAN) is excited to announce the launch of the “High-rise Safety Initiative,” a new ballot initiative that will amend the New York City Charter to require the NYC Department of Buildings to investigate all high-rise building collapses occurring in New York City on or after September 11, 2001, except the collapse of WTC 1 and 2. The Initiative will apply to the collapse of WTC 7 on September 11, 2001, as well as any high-rise collapse that occurs in the future. As many of you know, the City of New York blocked NYC CAN’s 2009 ballot initiative from going before the voters and becoming law. Five years later, we are sponsoring a new ballot initiative that has been carefully crafted to withstand any legal challenge the City might bring. We invite you to read the petition. For the proposed charter amendment to appear on the November 4, 2014 ballot, we need to submit 30,000 signatures from registered New York City voters by July 3, 2014, and a second submission of 15,000 signatures by September 5, 2014. To be sure we have enough valid signatures, the High-rise Safety Initiative is aiming to gather 75,000 signatures for the first submission, and 35,000 signatures for the second submission. After that we may have to face off against the City over the legality of the petition, a battle we are confident of winning. Once the amendment is officially on the ballot, we will launch a full-scale electoral campaign to educate New York City voters about the need for the High-rise Safety Initiative. Our ability to gather the signatures, overcome a legal challenge and win the vote on November 4 depends on your generous support. The petition drive, which will run from May to July 2014, will cost $250,000. The High-rise Safety Initiative is working with a political consulting firm that specializes in field operations to manage the petition drive – which all but ensures that we will successfully gather enough signatures if we meet our fundraising goal. After that, up to $50,000 may be needed for litigation. Today we are asking you to make a generous donation to help us reach our $250,000 fundraising goal by May 1. 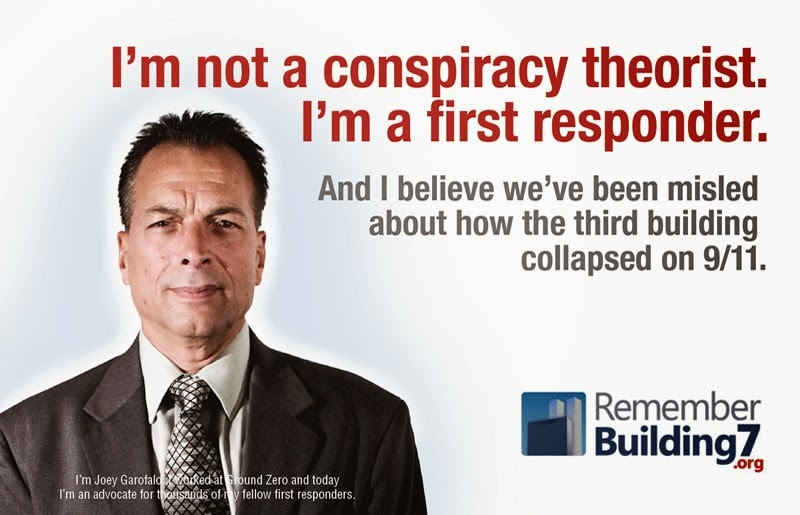 With your generous support we will take the first steps toward mandating a new WTC 7 investigation and ensuring that the failure to properly investigate a high-rise collapse is never repeated in New York City. Please go to HighriseSafetyNYC.org to learn more about the campaign and make your donation today. We thank you for your commitment to NYC CAN’s efforts over the past five years. 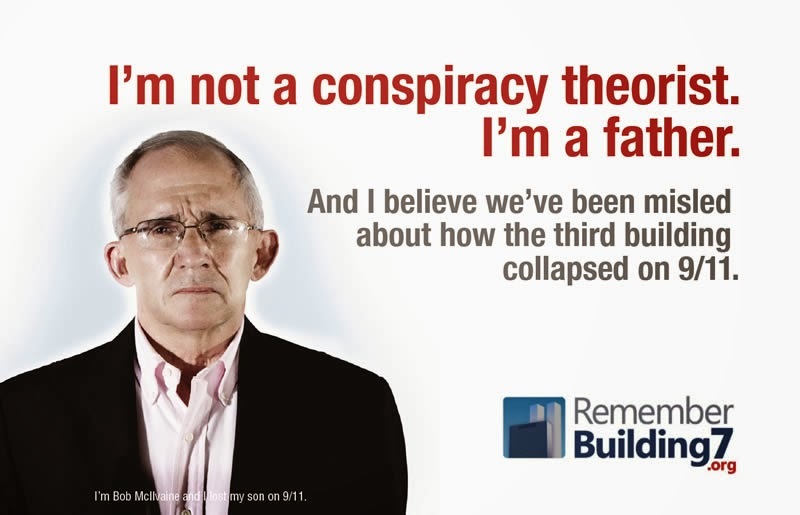 Now, with your generous support and lots of hard work, we can require the City of New York to investigate the collapse of WTC 7 and any high-rise collapse that may occur in the future. “Not my problem” seems to be the national if not the world slogan these days. People by the billion have apparently given up all hope of the world ever righting itself, after the programmed shellacking we’ve all gone through since sometime in the 20th century, now accentuated and accelerated beyond all hope of even keeping track of since the nightmarish spectacle of 9/11/2001. And that strategy, of just minding your own business and keeping your head down, really isn’t as stupid as it’s often made out to be, really. A person should still be able to do that if he/she wishes – not concern oneself unduly with abstruse world-scale affairs – without fear of getting clobbered by unearned and certainly undeserved sudden out-of-the-blue gargantuan financial obligations stemming, say, from vengeful unread fine-print emanating from who-knows-where on documents tangentially dealing with your house fragmenting your future, or bombs or guns in the hands of dark-side mad men or misguided ladies at any moment blowing away you and/or your family. Such once was, of course, the common plight of those whom ill fortune trapped in the derelict deep rotten cores of inner-cities, in sterile canebrakes or hollers away out in the country, or in some crazed, far-off or targeted seldom heard from realm of psychopath dictators with oil or an H-bomb cache suspected clear across the globe, viewed dimly on your grainy 13-inch TV. But now, the psychs are operating closer at hand, nearly everywhere, as a matter of fact, and the random acts and cyber-hits, or what not, are either custom-planned or the result of fully-intended policies designed to screw everything up for clever and/or bumptious reasons or rabid agents, to destabilize or distress. If I tend my yard, you reason, and take the kids to ballet and inquire politely of the neighbors over the fence tending their yards, and don’t make any noise at all or rattle the chains, maybe the hubbub of the killing and wrecking machines won’t even find me. But now, they are increasingly calibrated for finding everyone and the game’s almost up. But, it’s not quite over yet. And that’s roughly the strategy of your neighbor, too, who knows well enough (when he knows or thinks anything at all) that 9/11 knocked virtually everything out of kilter, just like you say it did, and probably was part of an ongoing program in truth appearing a lot more evident since. But it’s still “not my problem”, because I can’t do anything about it. And the likes of Greg Palast and Chris Hedges, obscenely-famous and sold-out public intellectuals, who never, in years and years and years, have had time, they invariably tell anyone who inquires, to delve into the most consequential and easily key event of all of our lifetimes to even form a reasonably-informed opinion as to whether it could have been a false-flag operation – a set-up by powers out to trick and control us – or not. It was either a heinous happenstance, totally beyond the control, influence, or prior knowledge of anyone native to North America, or the blow-out grand opening number of a new and endlessly accelerating enslaving and killing spree launched by powers who were in control of our own government. And none of these paid-to-be-smart clowns (Palast, etc.) have yet found time in their busy schedules or vaguely hermetic lives to check out even the first clue about it. Hence, the second practically unanswerable national and world slogan: “I’m not convinced,” the refuge of many. By now, those of us who are for real and sane in this one way are yelling into an unrelenting gale, that is, those of us who’ve been fool enough to look into what’s been driving us all steadily back and reporting what we saw. They call us crazies, and we obviously are, to take the abuse attaching to our staunch stubbornness! Only the crazies among the Greeks questioned the tales of the gods who supposedly were pulling their strings and messing with nature. To attest to the often-stated fact that we have to be a little bit different ourselves – teched, or touched, I believe, is the old-fashioned word – to dare to look straight on at all the gargoyles and medusas and elementals of 9/11 as into the sun, in the face of nearly-universal ridicule dealt out to dissenters these days, to openly blame the infamous acts at Ground Zero, Salomon Brothers, and two other locations on fiends not foreign but domestic, flies in people’s faces and questions damn near everything they thought they had a handle on. Thus, there aren’t many of us crazy scary enough left – and we shouldn’t be too surprised. We lost the last of the faddists and swells some time ago, and are left a small cadre defending the Alamo with the one great weapon we have and have had all along – the verifiable truth. 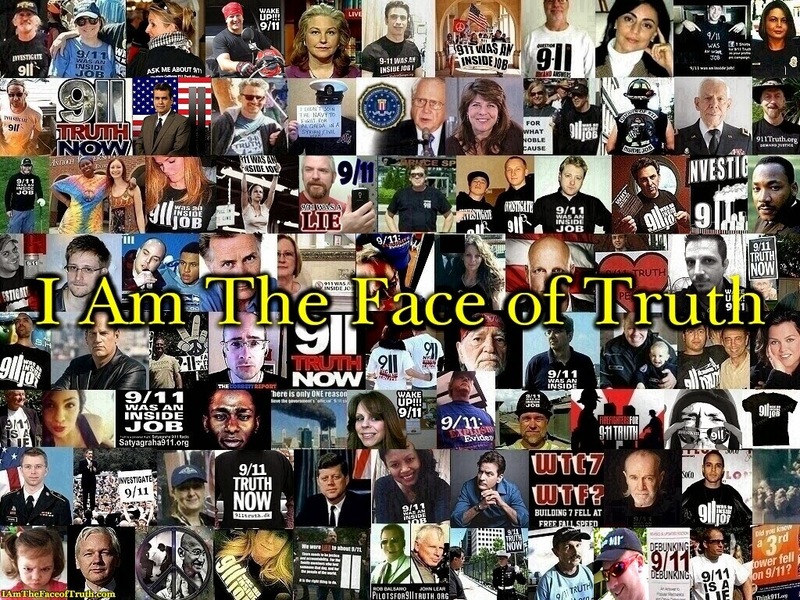 I can’t get together these days a decent quorum or anywhere near it for the once-thriving 911 Truth group I started here in the middle of the middle, at one time the wonder of the Movement. “Not my problem. The dog needed a bath, so I stayed home,” is something like what I regularly hear now. “Lord, give me power to change what I can, grace to endure or accept what I can’t, and wisdom to know the difference,” goes the old prayer. We, the few still battling mightily upstream, obviously don’t know the difference! But we should still know that it doesn’t matter what you know or say, if no one is listening! Yet, it’s not over. For then, there comes along Pete Carroll, the coach of Seattle Seahawks in the Super Bowl, who let slip last week that he’d grilled a returned Iraq War higher-up general as to whether 9/11 was an inside job, and how on earth it could have been otherwise, given what he, Pete Carroll, knew. “Carroll’s a very good coach, so how can he be so crazy?” one article reporting this tidbit quipped. A few more such reverenced crazies spewing the taboo words of not-so-difficult understanding and courage by someone who really gets it and cares, and there’ll be enough to fill a teacup. And then, perhaps, we’ll seriously be in business! How do I know it isn’t over yet? Because, when it is, it will no longer matter to them what any of us think. We won’t matter; they’ll just go ahead and plow us under, which has been their way from Day 1. You must remember this, the truth is still the truth, the lie is still the lie! The world must learn to tell the difference, as time goes by!